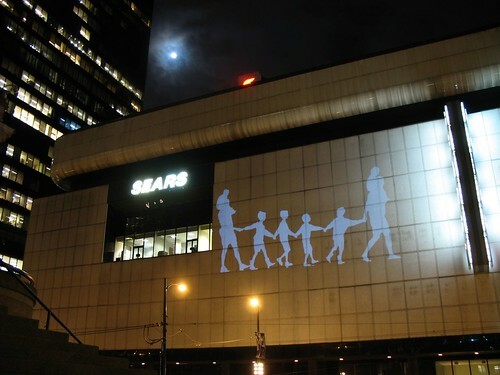 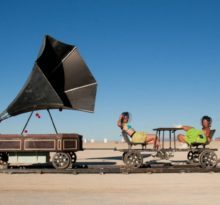 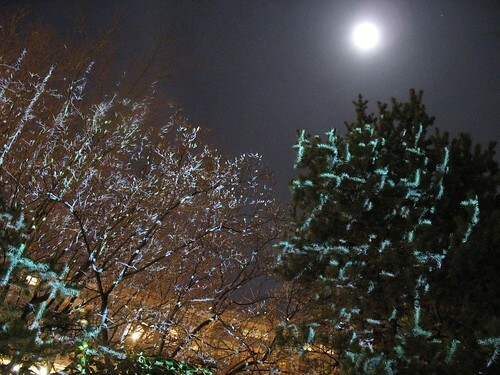 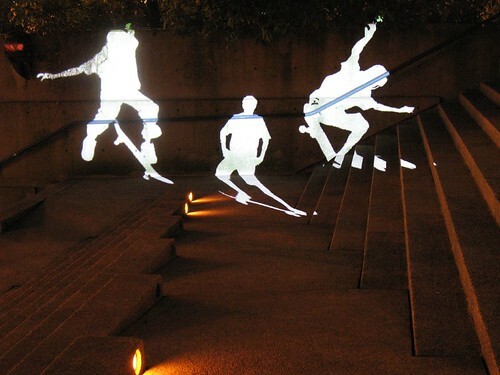 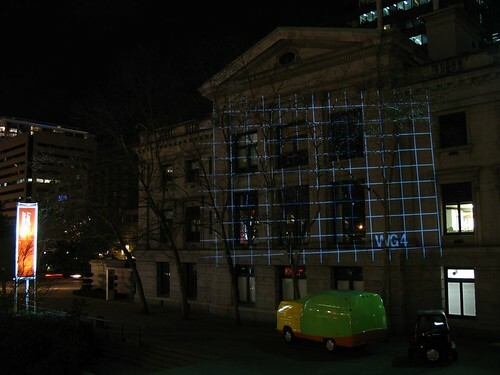 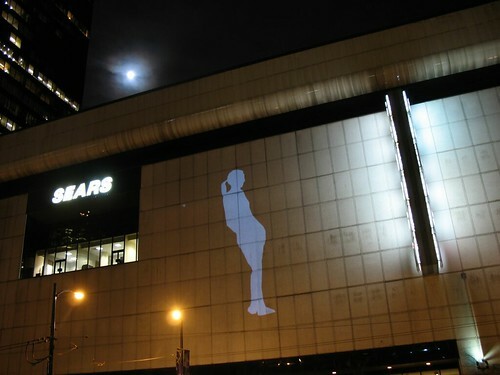 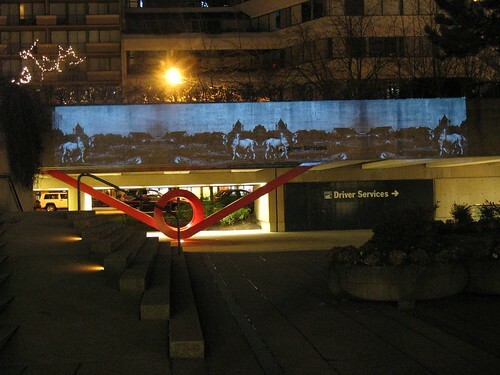 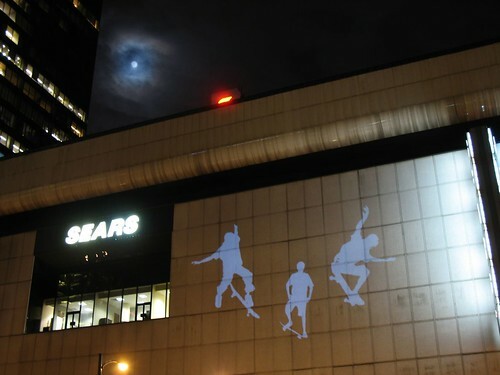 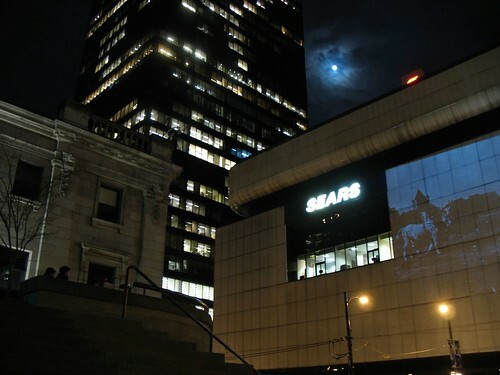 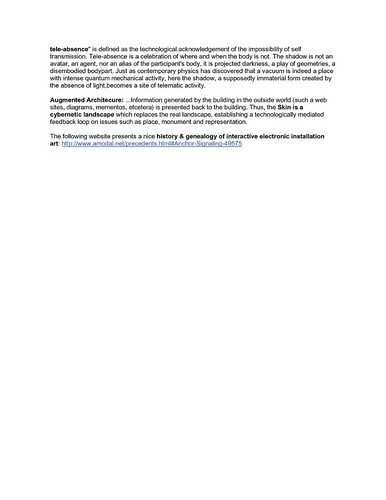 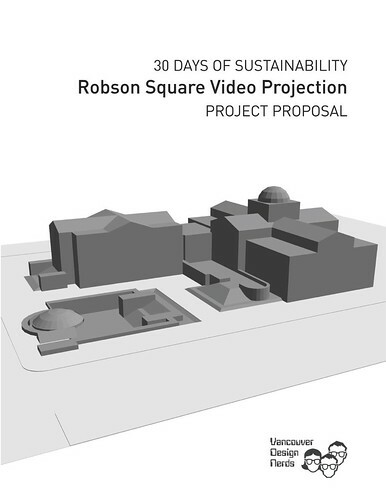 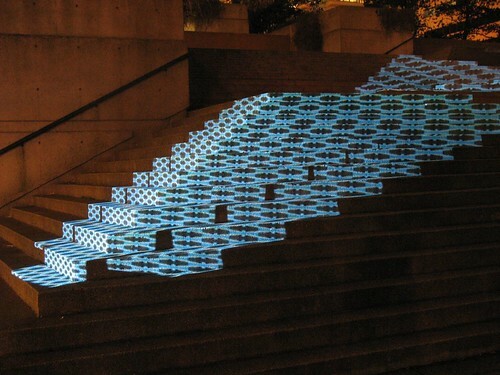 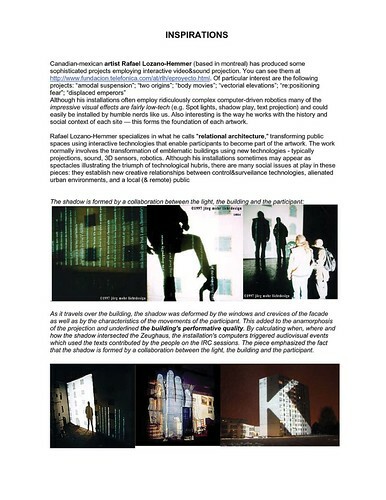 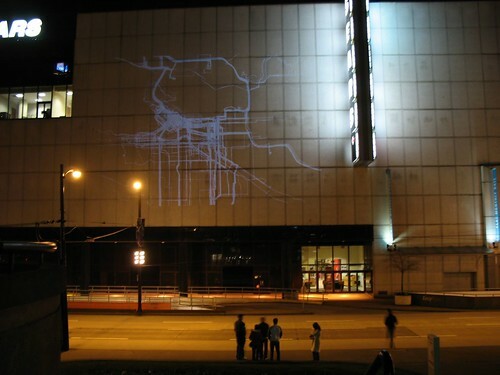 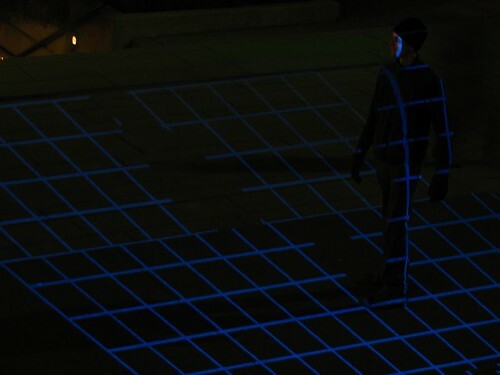 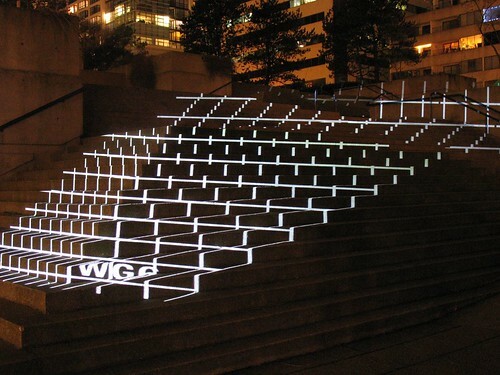 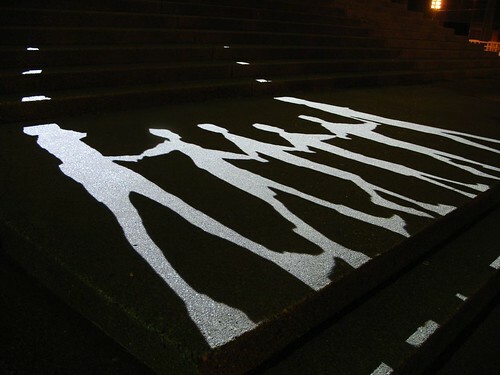 The Urban Video Intervention Project is a site-specific installation involving projecting forms and animations that play on the geometries of the physical space. 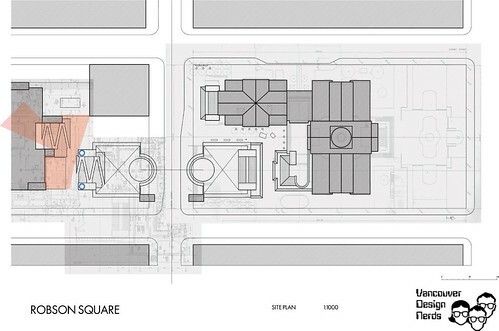 The objective is to integrate them with the site in a way that creates an interesting visual counterpoint to the existing structures. 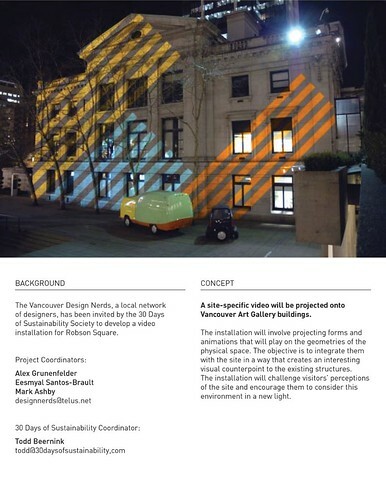 The installation will challenge visitors’ perceptions of the site and encourage them to consider this environment in a new light. 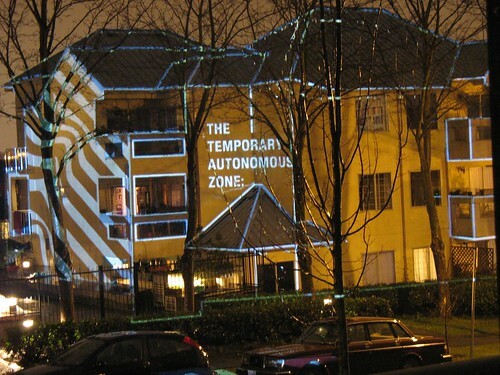 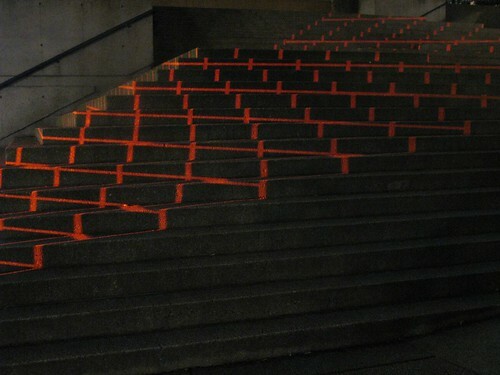 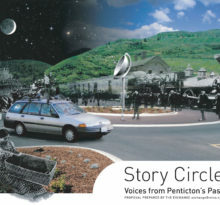 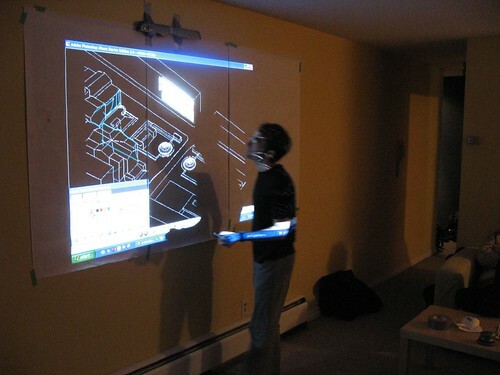 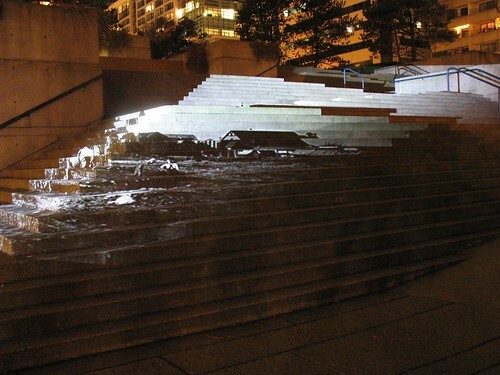 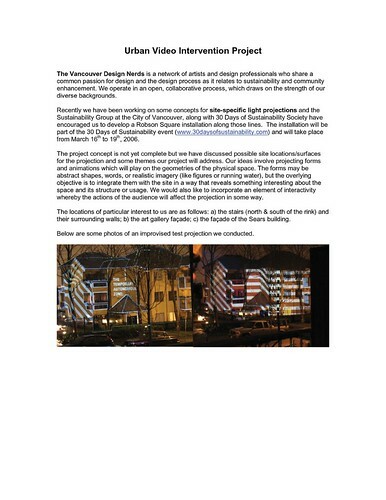 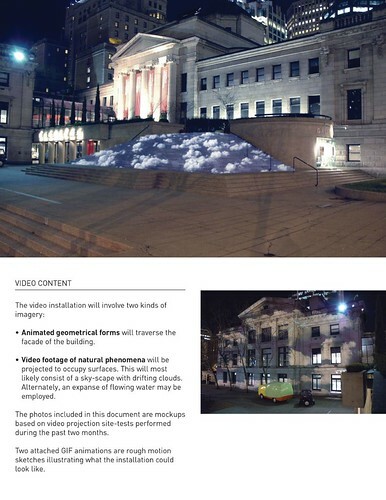 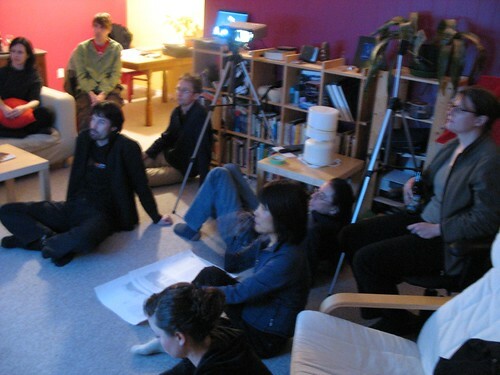 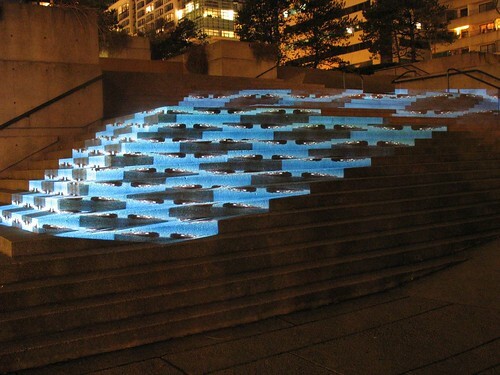 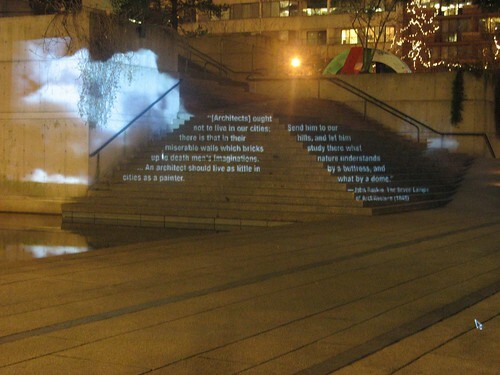 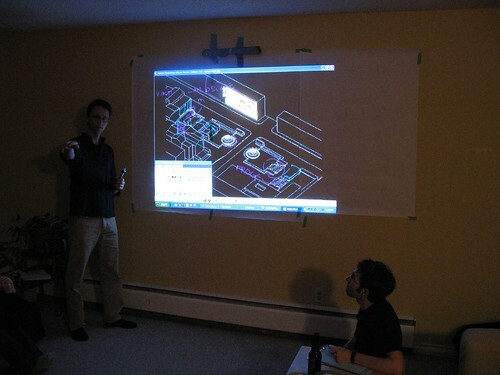 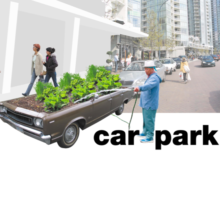 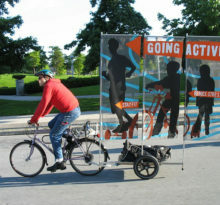 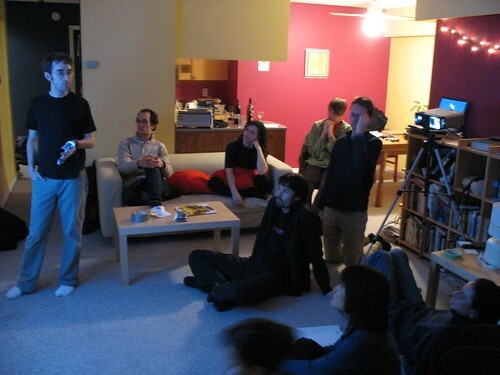 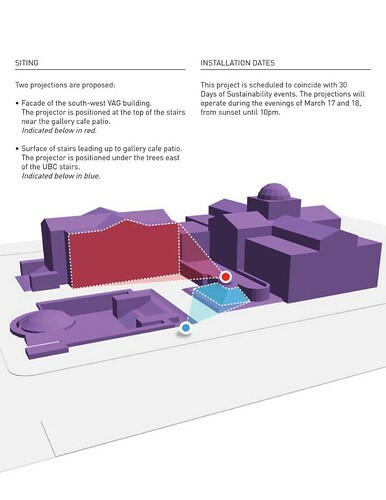 The first installation was at theVancouver Law Courts and was part of 30 Days of Sustainability 2006.